After a break in July, the rest of the State Office of Rural Health (SORH) Regional Partnership Meetings are set to take place in the next couple of months. We are excited to see our Region C friends in Minneapolis, Minnesota, on August 14-15th. Join us for a live session at Region C with the Farmer’s panel with two presentation; How Health Insurance Impacts Farmers’ Health and Farm Viability Length by NORC Walsh Center’s Co-Director Alana Knudson, and Farmer’s Stress and Mental Health by Meg Moynihan, Senior Advisor, Strategy & Innovation, Minnesota Department of Agriculture. To register for that session, please click here. If you haven’t yet registered or need to see the agenda, please click here for that information. 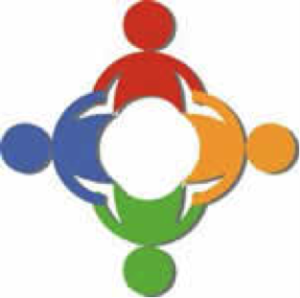 The next meeting will be the Region E SORH Partnership Meeting in Salt Lake City, Utah, on August 28-29th. Join us for a live session in Region E; At Your Fingertips: RHIhub Data Visualizations and Custom Alert presented by Makenzie Atherton, Information Specialist at the Rural Health Information Hub. Click here to register. There is still time to book your hotel room if you have not done that yet. For more information on how to register, book your hotel, or view the agenda, please click here. 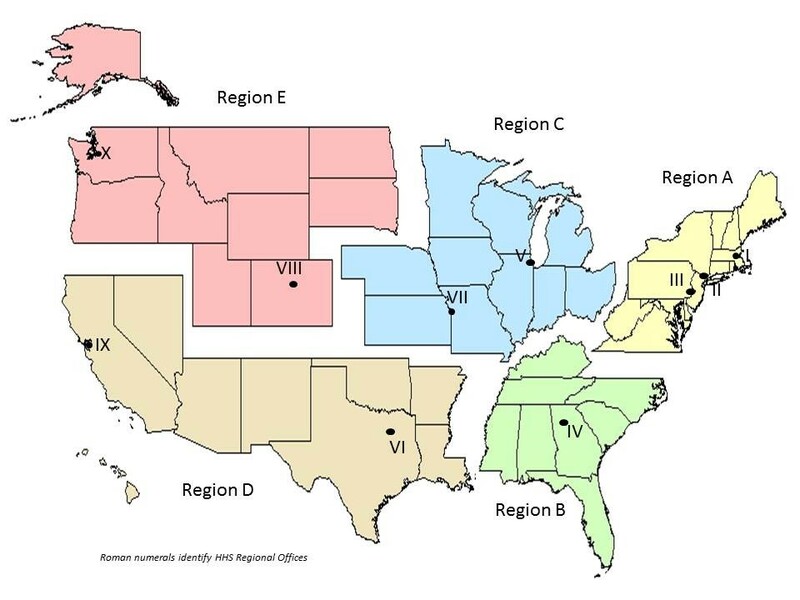 We will wrap up the Regional Meeting season in September when the Florida State Office in Pensacola will host the Region B meeting on September 5-7th. Again, if you still need to register, check out the agenda, or book your hotel. Please click here. All of the regional meetings are jammed packed with information and innovative ideas for your SORH. They are also right at your finger tips; for access to all of the regional meeting presentations, please click here. 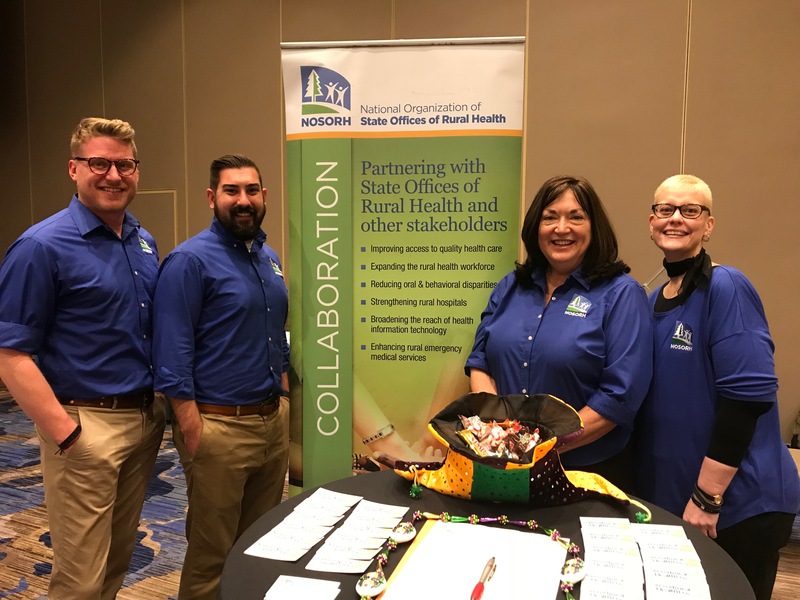 You’re invited to partner with NOSORH to help build the capacity of State Offices of Rural Health (SORH) and be an integral part of National Rural Health Day! 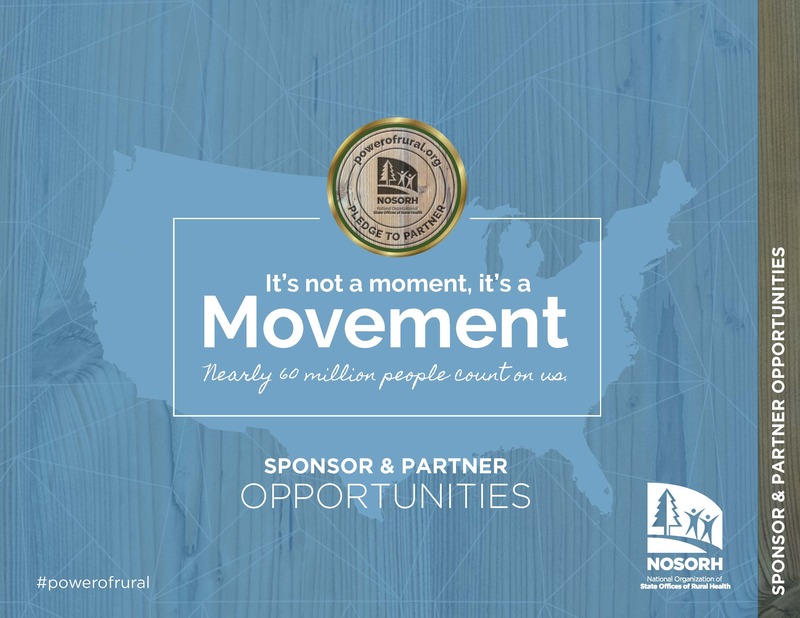 Explore a sponsorship level that meets your needs and showcase your organization at the NOSORH Annual Meeting in Cheyenne, Wyoming, on October 17-18, 2018. The Annual Meeting brings together over 150 attendees, including representation from all 50 SORH staff, and partners from across the country who are dedicated to improving access to quality rural health care. Read more. 2018 NOSORH Awards: Call for Nominations! The Awards Committee co-chairs Cathleen McElligott (MA) and Margaret Brockman (NE), are now accepting nominations for the 2018 NOSORH Awards. These awards are a special way to celebrate and recognize the hard work and leadership of individuals and organizations dedicated to rural health. Awards will be presented during a ceremony at the NOSORH Annual Meeting. This award is to be presented to a State Office of Rural Health that has made an outstanding contribution in the field of rural health. The committee should consider broad benefits to rural health, innovative programs, unusual contributions, or activities that have advanced State Offices of Rural Health. Read more. 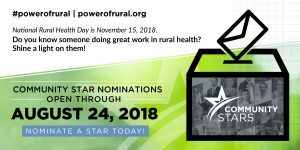 Nominate a Community Star for National Rural Health Day! Shine a spotlight on someone making a difference in rural health and help us celebrate the #PowerofRural by nominating an outstanding Community Star! We are now accepting nominations for the 2018 Community Stars through August 24, 2018. Visit the Community Stars page for more information and to make your nomination. 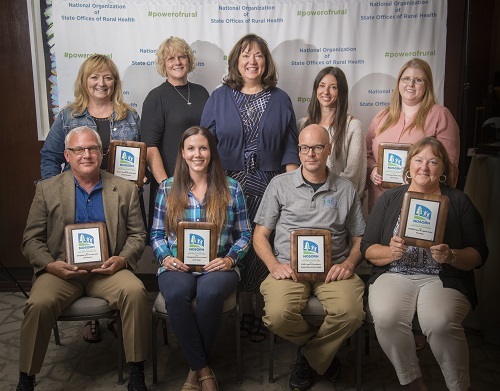 Selected Community Stars will be announced at the NOSORH Annual Meeting and featured in the 2018 Community Star electronic publication released on National Rural Health Day, November 15, 2018! Read more. 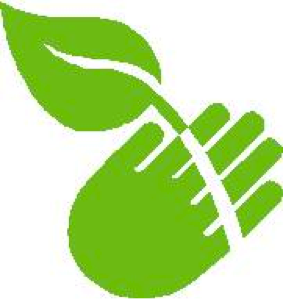 The RHC Committee needs your input on the annual RHC Technical Assistance Survey! It should only take 10 minutes or so to complete and the information gathered will help shape the work of the RHC Committee over the coming year. Click here to access the RHC Technical Assistance Survey 2018. The committee appreciates your willingness to participate in this important annual event! The Rural Health Clinic (RHC) Committee reminds you there are great resources for Quality and Behavioral Health for RHC. “Performance Measurement and Quality Improvement” (Module 5) and “Incorporating Behavioral Health in the RHC” (Module 6) have been recently updated with format, and other minor changes. Module 6 includes an new appendix of opioid resources. The revised versions will be available by August 1, 2018. These and other, related modules can be found on NOSORH website’s Rural Health Clinic Educational Resources page. Read more. NOSORH wants to learn more about challenges and opportunities in frontier communities, and the efforts that State Offices of Rural Health are making on their behalf. We are conducting a listening session with State Offices of Rural Health on Wednesday, July 11, 2018 at 3 PM ET. Read more about the session. SORH staff from all 13 states of Region A descended on Charlottesville, Virginia, for the Region A SORH Partnership Meeting in June. NOSORH would like to thank the Virginia staff for all their help in planning and hosting an amazing meeting, and also for the gift bags that helped us to remember that “Virginia is for Lovers!” That message set the tone for what was a well-balanced agenda of peer-to-peer networking and learning, as well as information that many took back to their states to follow up on. Region A was joined by Alana Knudson, Co-Director of the NORC Walsh Center for Rural Health Analysis. Alana presented on the CDC’s growing interest in rural health. Alana touched on a variety of topics within that conversation, including the inclusion of rural health coordination within the Office of the Associate Director of Policy, rural health disparities, and how local health departments are funding in rural areas. Read more. The SORHs of Region D met last month in Little Rock, Arkansas, for their regional meeting. Thank you to the Arkansas Office of Rural Health for hosting and helping plan a meeting that touched on a broad array of topics, which made for lively discussions. 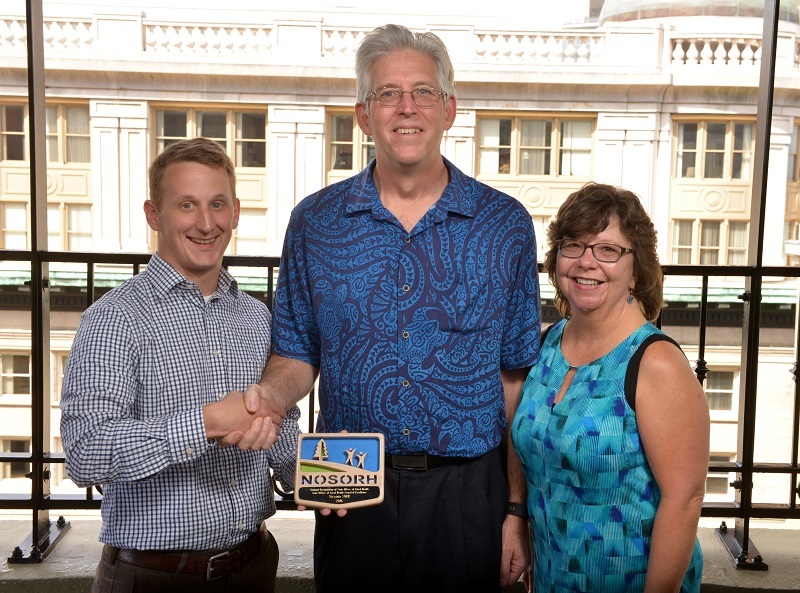 Each state was encouraged to think “outside the box” in terms of working with new partners and delving into new topics not previously discussed at the regional meetings. One session of note was Marc Verhougstraete’s presentation on Environmental Health and Justice. Marc, an Assistant Professor at the University of Arizona, gave a presentation that had attendees ponder the well being of rural citizens, and farming’s impact on rural water sources. Read more. 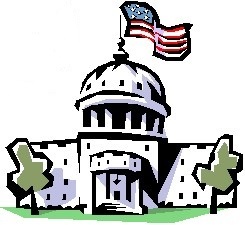 On June 25, the House Labor-Health and Human Services-Education (Labor-HHS) Appropriations Subcommittee released the draft bill text for the FY 2019 HHS funding. The draft bill increases the State Offices of Rural Health funding to $11 million, a million dollar increase over FY 2018. That is particularly good news considering the draft bill decreases overall rural health funding by $9.5 million for the upcoming year. The bill would also decrease the Health Resources and Services Administration (HRSA) funding by $196 million from FY18. 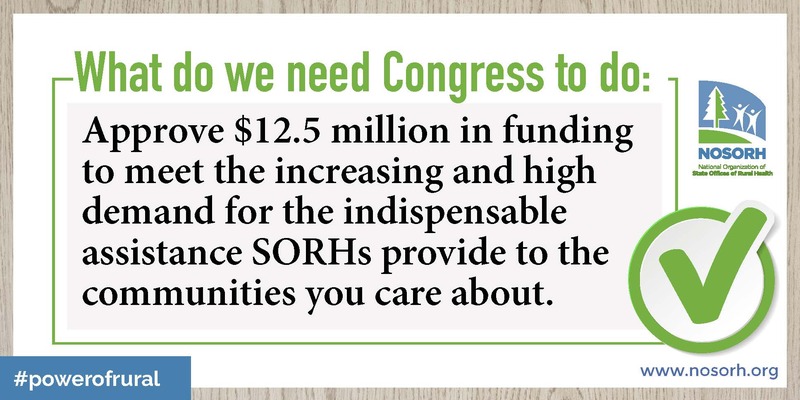 Other funding under the HRSA account includes $33 million for Rural Hospital Flexibility Grants and over $25 million for Small Hospital Improvement Grants. Read more. Development- With the recent release of the Sponsor Prospectus, the Development Committee is “leaning in” to work on sponsor development. All information related to potential sponsors is welcome and should be directed to Teryl Eisinger (teryle@nosorh.org). 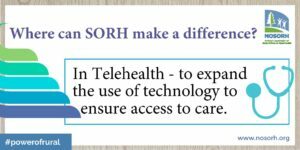 The Committee is beginning to explore potential NOSORH service line expansion through enhanced partnerships with a few long-term strategic partners. More information will be forthcoming as this work takes shape. For additional Development Committee information, please contact Tammy Norville (tammyn@nosorh.org). Read more. The RHIhub has a new topic guide on the Rural Response to the Opioid Crisis. 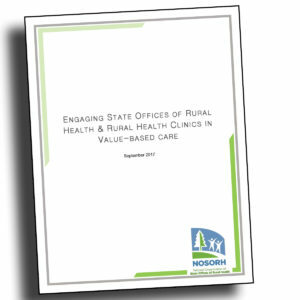 The guide identifies rural-specific initiatives and funding opportunities, program examples, and tools and resources focused on prevention, harm reduction, and treatment, to help address this crisis in your rural communities. Read more. The SORHs of Region D met last month in Little Rock, Arkansas, for their regional meeting. Thank you to the Arkansas Office of Rural Health for hosting and helping plan a meeting that touched on a broad array of topics, which made for lively discussions. 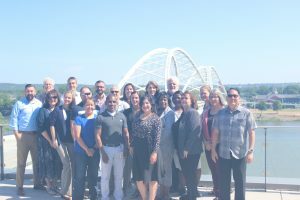 Each state was encouraged to think “outside the box” in terms of working with new partners and delving into new topics not previously discussed at the regional meetings. One session of note was Marc Verhougstraete’s presentation on Environmental Health and Justice. Marc, an Assistant Professor at the University of Arizona, gave a presentation that had attendees ponder the well being of rural citizens, and farming’s impact on rural water sources. Marc’s presentation was live-streamed to all the regions and the recording can be found here. To hear about the discussion from Marc’s view, watch this quick clip below about his work. Our next Regional Partnership Meetings will take place in August. 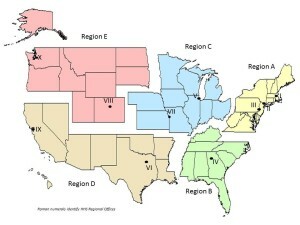 For more information on Region C, taking place on August 14-15, click here. For more information on Region E, taking place on August 28-29, click here. 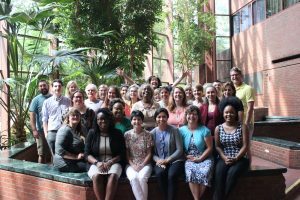 SORH staff from all 13 states of Region A descended on Charlottesville, Virginia, for the Region A SORH Partnership Meeting in June. NOSORH would like to thank the Virginia staff for all their help in planning and hosting an amazing meeting, and also for the gift bags that helped us to remember that “Virginia is for Lovers!” That message set the tone for what was a well-balanced agenda of peer-to-peer networking and learning, as well as information that many took back to their states to follow up on. Region A was joined by Alana Knudson, Co-Director of the NORC Walsh Center for Rural Health Analysis. Alana presented on the CDC’s growing interest in rural health. Alana touched on a variety of topics within that conversation, including the inclusion of rural health coordination within the Office of the Associate Director of Policy, rural health disparities, and how local health departments are funding in rural areas. For a video clip about Alana’s presentation, click here. For all the presentations from the Region A meeting, click here. Region A is looking forward to their 2019 meeting, which will take place in the great state of West Virginia in 2019! The 2018 National Rural EMS and Care Conference Sees Success in Tucson! 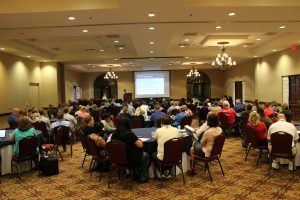 Last month’s National Rural EMS and Care Conference 2018 in Tucson, Arizona, was a huge success. Thanks to all who helped plan and attended the conference, supporting the mission of the Joint Committee on Rural EMS (JCREC). Attendees included State Offices of Rural Health, EMS Medical Directors, State EMS Officials, federal partners, regional EMS Agencies, and Hospital Based EMS individuals, to name a few. One attendee noted, “We have been wanting to start a community paramedicine program in our area, but I didn’t know enough about it. I felt this meeting gave me a HUGE insight in not only what it was about, but how to get help and the steps to start it.” Another attendee said “This was my first time to this conference. The primary benefit was networking with other states and learning about their current issues and successes, and them helping me troubleshoot some of my regulatory/program barriers.” Bringing people together from all over the country and giving them time to be together, to network, and collaborate, was of great importance to the attendees. Read more. NOSORH is ready to host our first set of Design and Dissemination Studios (DDS) at the Region A and D Meetings. 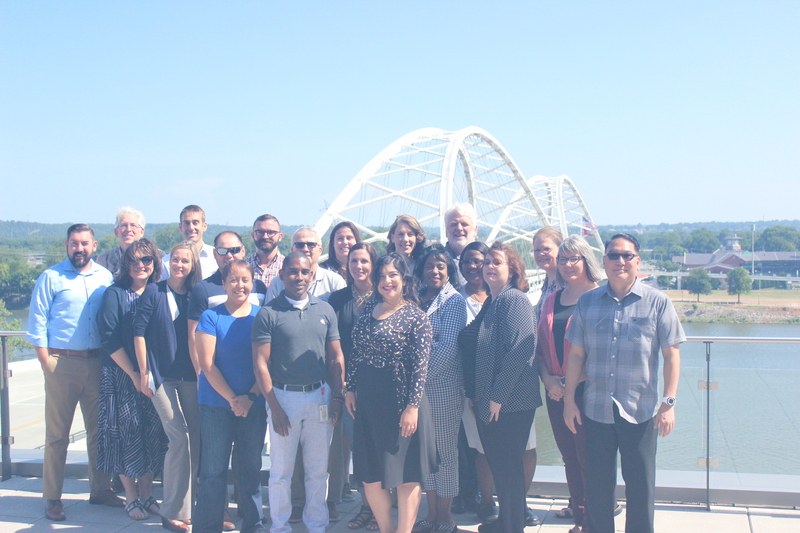 “We’re excited to offer State Offices of Rural Health and other stakeholders an opportunity to discuss and influence health workforce research at the DDS,” said Matt Strycker NOSORH Program Manager. If you will be attending the DDS event at the Region A meeting in Charlottesville, VA, you will be joined by Randy Longenecker, M.D., Executive Director, The Rural Training Track Collaborative; Davis Patterson, Ph.D., Deputy Director, WWAMI Rural Health Research Center; and Paulius Mui, a researcher at the Virginia Commonwealth University School of Medicine. Longenecker and Patterson will seek participant insight on “Competence Revisited in a Rural Context” and Mui will discuss research on “How Do Rural Communities Deal With Losing Their Physician?” For a full agenda, click here. Read more. The time has finally arrived! It’s Regional Meeting season and this month NOSORH and the host states are ready to welcome Region A to Charlottesville, Virginia, and Region D to Little Rock, Arkansas. As always, these meetings, as well as all the regional meetings, are full of incredible value to the State Offices of Rural Health (SORHs) and your partners. The planning committees have put a great amount of thought into these jam-packed agendas. 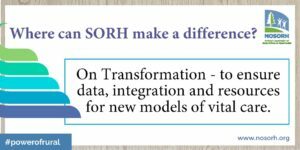 There will be more of a focus on group participation and more SORH-to-SORH interaction with agenda items that focus on the work of the SORHs. Many hot topics and several changes have emerged since the regions last met, and these agendas reflect that need for current and up-to-date information and solutions. Read more. A chance encounter at a local store sparked a telehealth partnership between the Alabama Office of Rural Health (AL SORH) and Alabama Veterans Affairs (VA). “Our office has always been a strong advocate of telehealth,” Lail continued. “The state health department was starting to install telehealth carts in our county health departments, so I thought there might be an opportunity to marry the needs of the VA with the county telehealth program.” Read more. 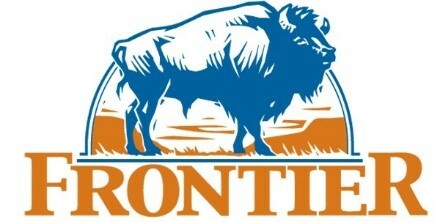 On April 26th, House Energy and Commerce members Markwayne Mullin (R-OK) and Kurt Schrader (D-OR) introduced the State Offices of Rural Health Reauthorization Act of 2018, H.R. 5641. The bill is the companion bill to S. 2278, which was passed in March by the Senate Health Committee. The bill seeks to reauthorize the State Offices of Rural Health grant program for the first time since the early 1990s, and would increase funding for the program. 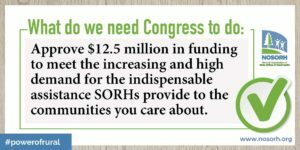 Since 2016, Hall Render has worked with NOSORH leadership and Congress to reauthorize the States Offices of Rural Health program. The Senate bill, which was introduced by Sen. Pat Roberts (R-KS) and Sen. Heidi Heitkamp (D-ND), has been cleared for full Senate passage. The next step for the House measure will be a mark-up before the Energy and Commerce Committee. Please contact members of your congressional delegation and urge them to cosponsor this important measure. Read more. The NRHA Annual Meeting, held May 8-11th in New Orleans, was packed with the latest resources, tips, and tricks for providing quality, sustainable rural health care in a rapidly changing healthcare environment. NOSORH staff was proud to represent the fifty State Offices of Rural Health at the meeting. Tammy Norville, NOSORH Technical Assistance Director, along with Greg Wolf of LilyPad (POND) and Joyce Hospodar of the Arizona Center for Rural Health, held a breakout session on Performance Measurement and Improvement Strategies for Rural Health Clinics. The session included an overview of POND, a data repository for Rural Health Clinics that has focused on financial and operational data, which added five rural-relevant quality measures in March. Hospodar provided an overview of Arizona’s statewide use of POND to begin RHC data collection. 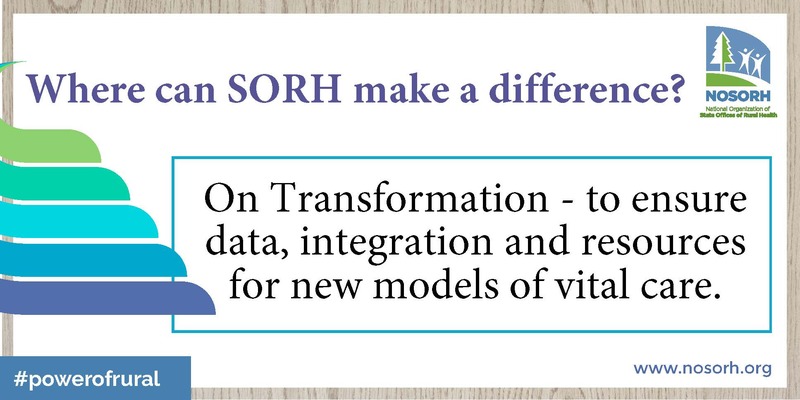 Norville also noted other informative session that provided insight into the work NOSORH does to build capacity of SORHs to improve health of rural communities. Read more. NOSORH Board- – At the NOSORH Board meeting on May 21st, external auditors, Maner and Costerian, reported that the results of the audit are “as good as you can get.” The Board expressed appreciation to Donna Pfaendtner, NOSORH Administrator, for excellent implementation of all NOSORH financial matters. The Board also approved a request to sign on to a letter to the JCAHO to consider the needs of small rural facilities in regards to protocols for Thrombectomy-Capable Stroke Centers Certification. 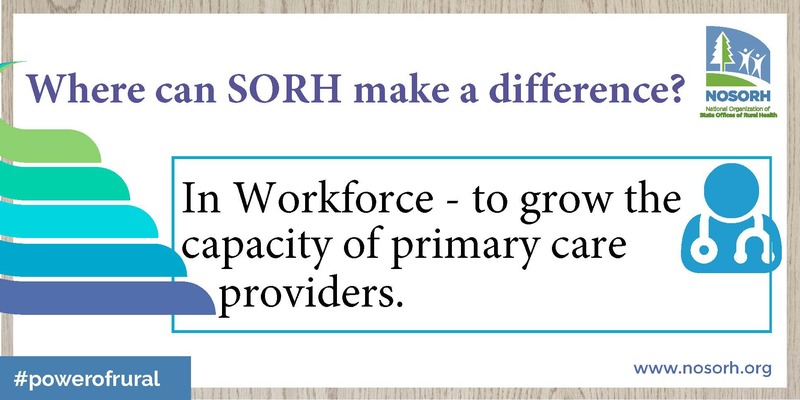 Policy Program Monitoring Team (PPMT) – A series of webinars were offered last month to support SORHs and their partners in considering the role states have in addressing policies that can increase access and ensure coverage for rural communities and providers. The webinars were widely attended. 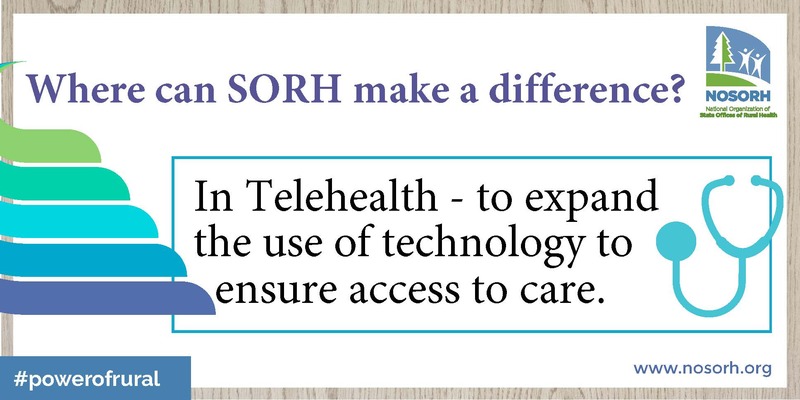 If you were unable to attend, the supporting materials and recorded webinars are available on the NOSORH Webinars page. NOSORH has also submitted information to CMS for consideration on Direct Purchase Contract to urge consideration for rural Medicaid as well as Medicare populations. Read more. Rural Post-Acute Care: Improving Transitions to Enhance Patient Recovery – How a tertiary facility’s communication with partnering skilled nursing facilities, a Critical Access Hospital’s swing bed program, and a home health agency are improving patient transitions from acute care to PAC. Rural Post-Acute Care: Healthcare Leaders Offer Practical Solutions to Workforce Challenges – Healthcare leaders share practical examples that have created incentive for staff to join, and stay on, their healthcare teams. Relationships and Partnerships: How ACOs Are Improving Treatments for Super-Utilizers – The Mountain West ACO, New Hampshire Rural ACO, and UnityPoint Accountable Care share how they’re working to reduce costs and improve care for their super-utilizing patients. Read more. Add the new SORH PIMS measures to TruServe! 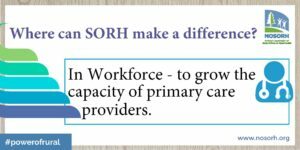 As discussed at the last NOSORH webinar, starting July 1, 2018, SORHs will be asked to track upon two additional measures for PIMS. If you haven’t already, watch the recorded webinar to learn more about the new measures, then contact Mark Barclay to discuss getting these measures into your TruServe system! Attending a free Gateway webinar to hear where we have been and where we are going in rural healthcare. Subscribing to Gateway Research Alerts to receive an email when there is a new rural health research product. Visiting YouTube to watch videos of Rural Health Research Center researchers speak about their history with the program and what they think the future of rural health research will look like 30 years from now. Read more.